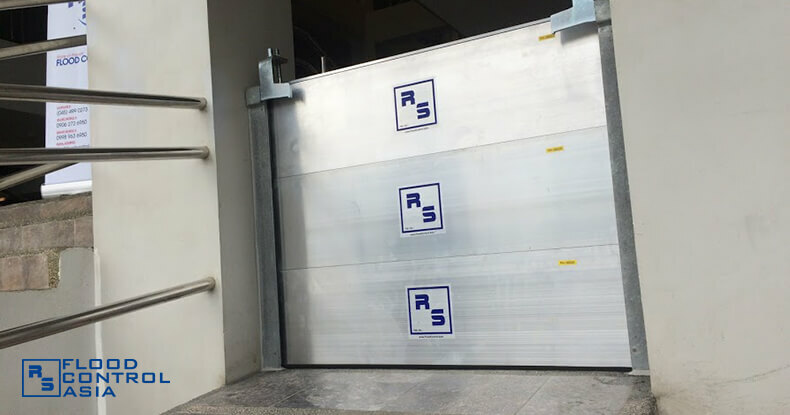 RS Demountable Flood Barriers can be tailored to fit various structural forms like arcs, sharp corners, 90-degree turns, and slopes as steep as 20 degrees. They can protect structures from flood as high as 4.0 meters. Moreover, they can be rigged to ground plates and anchors so they can resist the strong push of floodwater pressure. Once the flood panels have been assembled, their seals can be tightened through the compression clamps; thus, preventing the possibility of leaks. 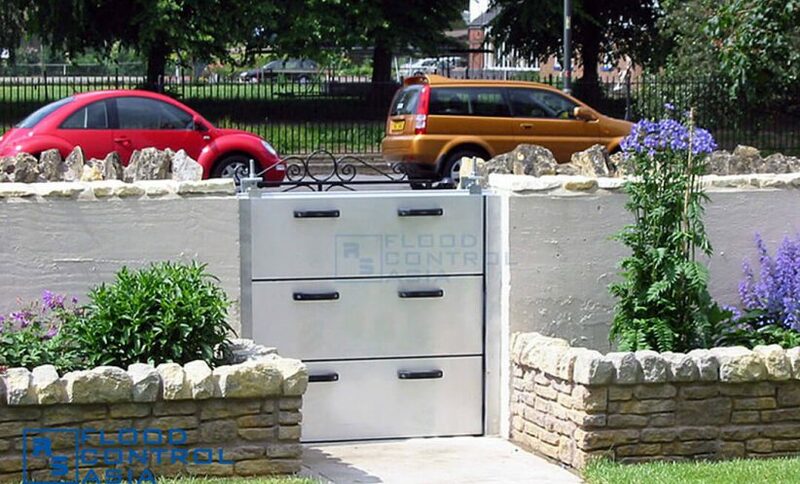 These removable flood barriers are perfect for building entrances. 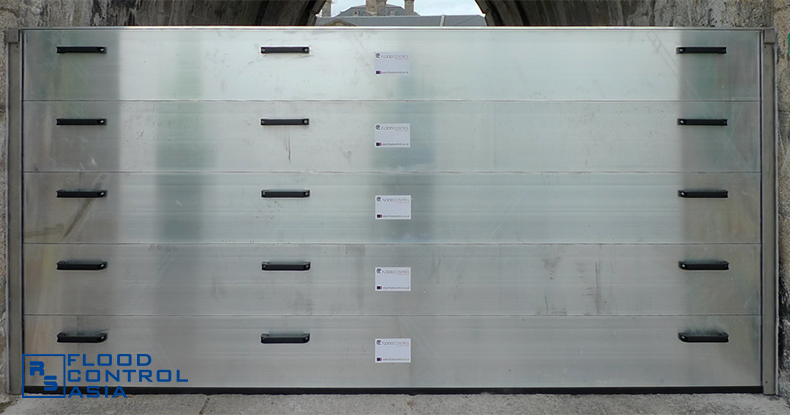 These flood panels can be primary infrastructural defense. Though they are temporary flood protection, they can also be installed on floodwall openings. 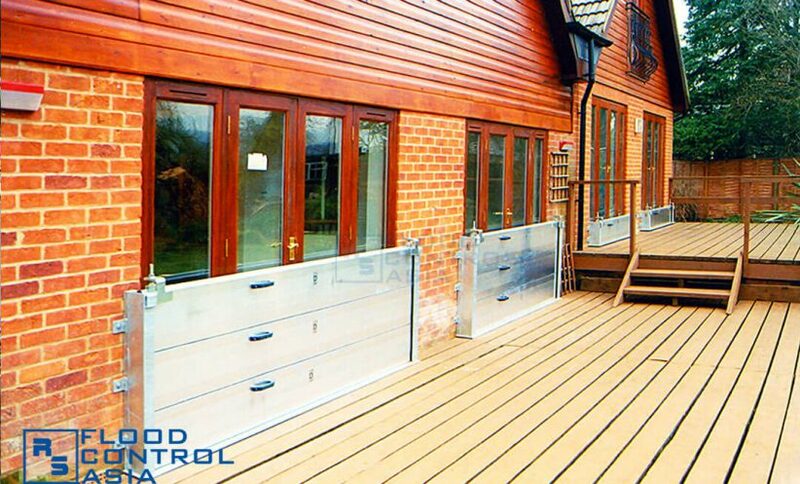 They are perfect for homes as removable flood barriers. 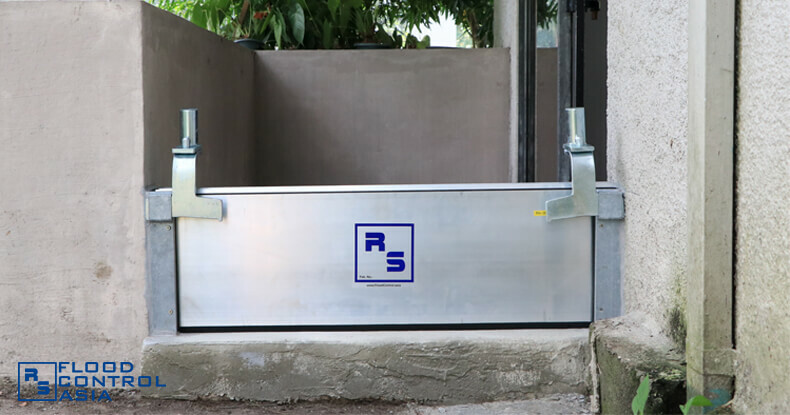 RS Demountable Barriers can render total protection from flood, ensuring that your assets and loved ones are safe no matter what. These are removable flood barriers that can fit any structure — be it a simple home, a business establishment, or a big industrial house. 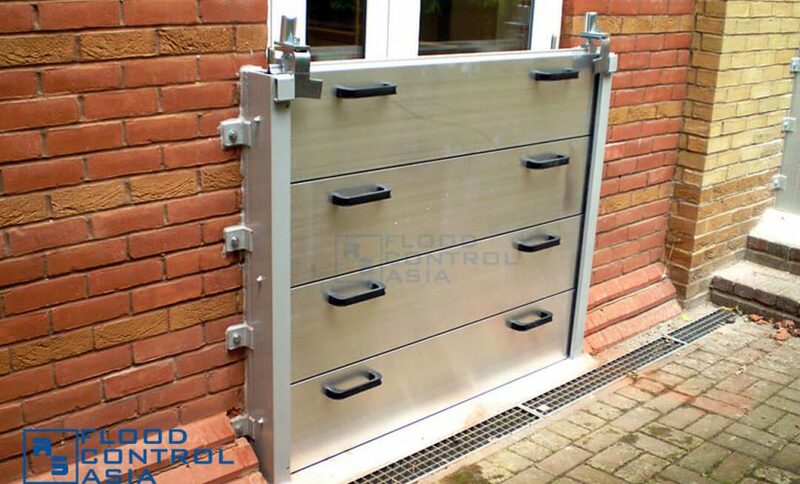 The demountable flood protection works well even in residences with narrow entrances. The flood panels are capable of protecting glass-paneled doors, which can break when pressed by a strong force of floodwater. The temporary flood protection can also be installed on gates, where they can be attached to concrete walls. 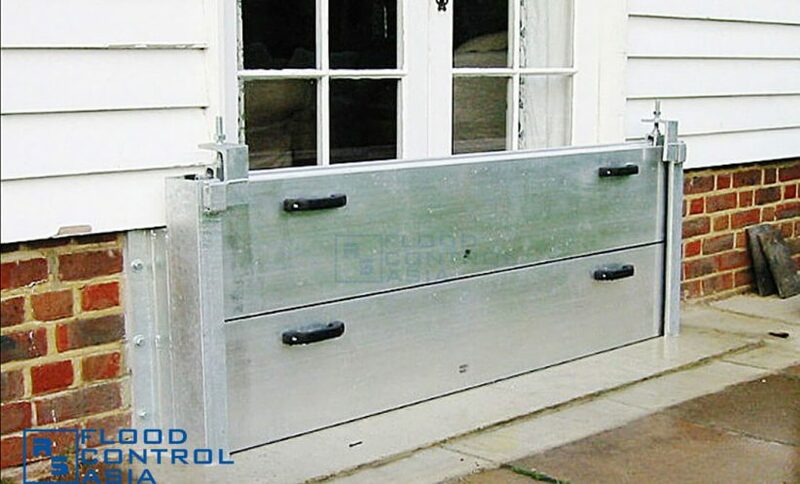 You can now keep your townhouse safe from flood through the removable flood barriers. 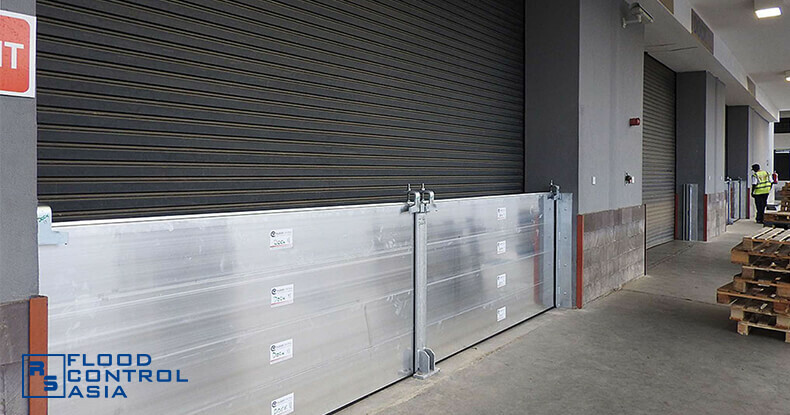 The RS Demountable Flood Barriers are perfect flood defenses for malls, offices, and business establishments. 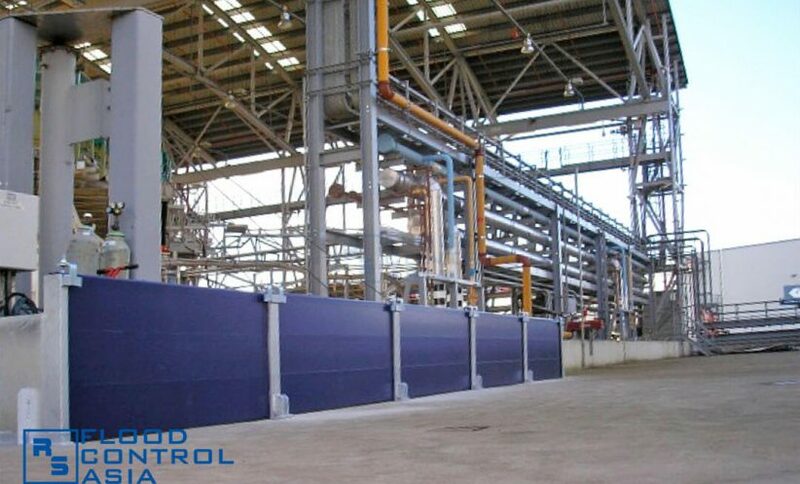 The flood barriers can protect wide perimeters, making them fit for warehouses and factories. 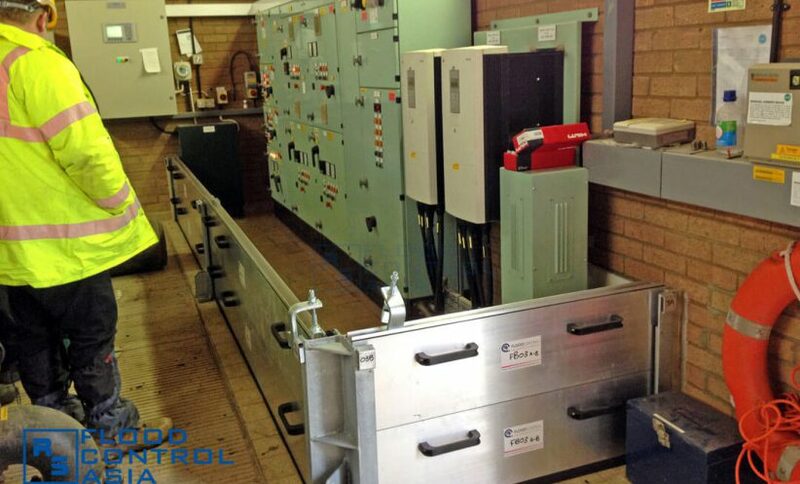 Power generators are no longer at risk of being submerged in flood, thanks to RS Demountable Flood Barriers. RS Demountable Flood Barriers can work as temporary flood protection even for whole communities. The flood panels can be installed around 90-degree corners to accommodate the site’s special requirements. 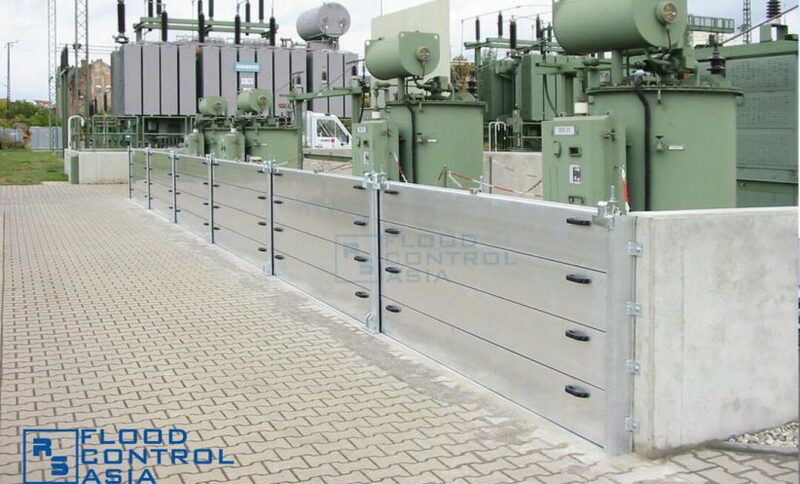 The demountable flood protection secures power generators and other sets of equipment against flooding and vandalism. The said flood panels can easily be assembled when the need for a temporary flood protection arises. When there is a threat of flood, these flood beams can be set by just a single person; thus, allowing emergency response. RS Demountable Flood Barriers are affordable, in contrast to sandbags that require frequent refurnishing. The flood panels are lightweight and can be assembled by a single person. 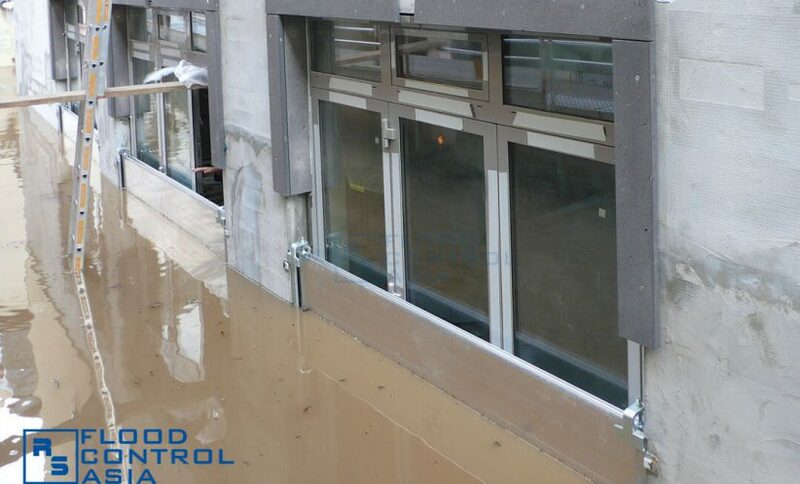 These removable flood barriers are flexible; they can fit to any structural form. These flood beams are made of aluminum, making them extremely durable. They may be a temporary flood protection, but they are secured through a locking mechanism called compression clamps. 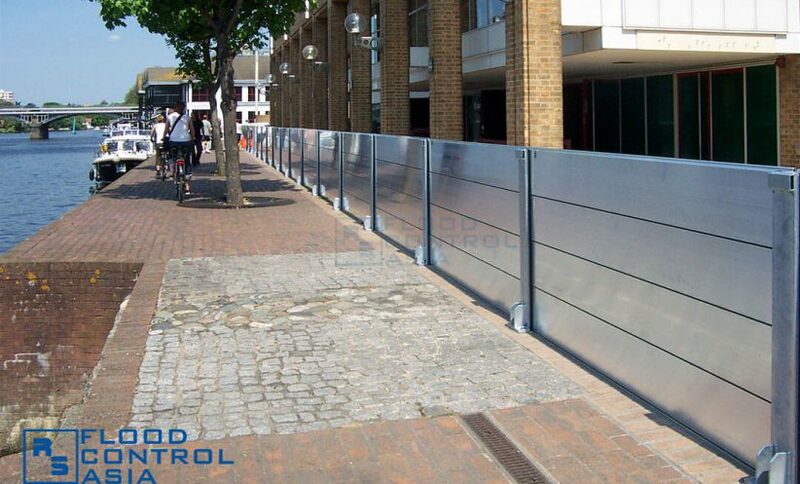 RS Demountable Flood Barriers are made to last long. Last, but most importantly, RS Demountable Flood Barriers are made to last. They are aluminum panels, which makes them resistant to all forms of corrosive substances. They are extremely durable, and can resist blunt forces caused by floating debris. 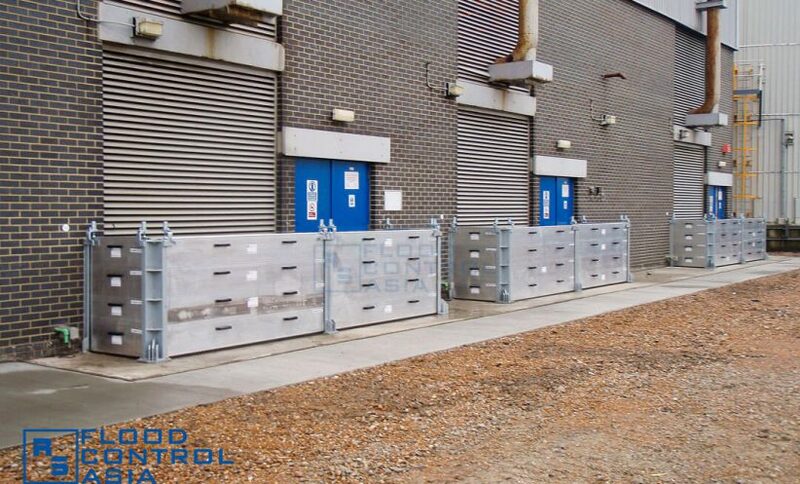 How can the RS Demountable Flood Barriers provide ultimate protection? The flood barriers act as a temporary flood protection. They can be assembled on the designated site when there is a threat of flooding. With their rubber seals, they effectively block all floodwater entry points; thus, securing the entire perimeter. Why are they called temporary flood protection? The flood beams can be removed from their channels when they are not in use. They can be stored in racks or chests that our services provide. The flood panels are lightweight, making them suitable for a single person set up. Can the flood panels provide protection for extreme conditions? The answer is a resounding “Yes!” RS Demountable Flood Barriers can accommodate a maximum height of 4.0 meters. They can also be installed on perimeters with corners, sharp turns, and slopes as steep as 20 degrees. The flood beams are also made of high-grade aluminum that can resist corrosion, blunt force, and water pressure. How can we prove the durability of RS Demountable Barriers? The RS Demountable Flood Barriers have been tested and approved by FM Global, the world’s leading property loss prevention research firm. Besides, the RS Demountable Flood Barriers have been created through German technology, one of the world’s best in terms of engineering. Where can the RS Demountable Flood Barriers be installed? They are best for big businesses like car shops, malls, hotels, warehouses, and even underground basements. They can also work for schools, government offices, and residences.